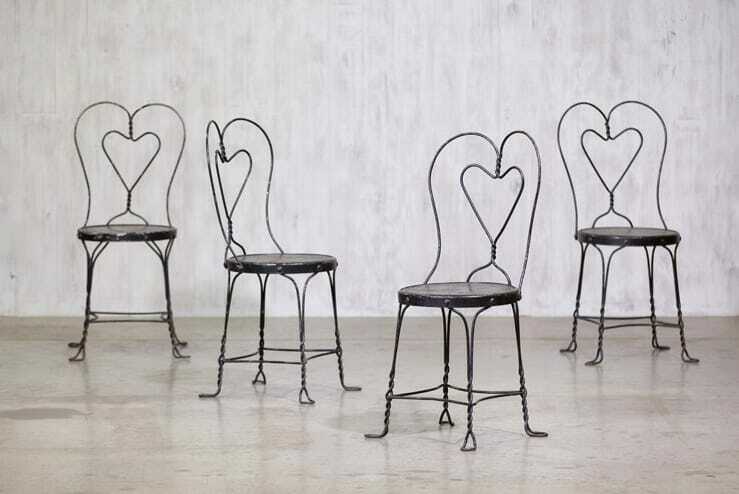 Who wouldn’t want to savor a root beer float or banana split on this set of four early 20th-century ice cream parlor chairs? 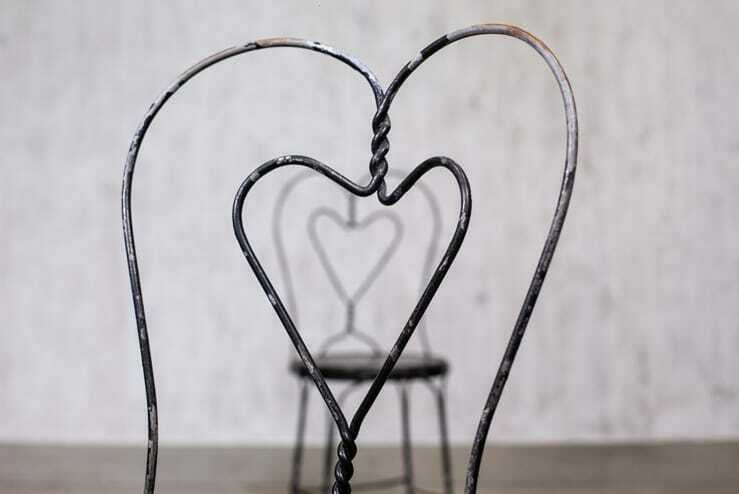 Wooden seat and bent metal frame that’s twisted into a sweet heart. The black paint is worn away in several spots, but they still have loads of charm.